Just a quick reminder that the March issue of the Australian Literary Review is available for free in today’s Australian. I’ve only had time to scan the issue but it looks good, with pieces by Luke Davies on the novel in the Age of Terror (a term which must surely be as close to its use-by date as it sounds) and Hazel Rowley on French intellectuals under Nazi Occupation (neither of which, annoyingly, are on line). Further in though you’ll find a piece by James Ley which uses the new, deLished edition of Carver’s Beginners to ground a broader discussion of the role of the editor, and which features some fabulously unguarded comments by yours truly (“anyone who tells you books are as carefully or rigorously edited as they were a generation ago is either lying or deluding themselves”). I’ll let you read the piece in full, because there are a number of smart people saying smart things in it, but looking at it this morning I was struck by the fact that my own comments don’t go far enough. As you’ll see if you read the piece, I suggest it’s worth remembering that editing is only one part of a larger equation for publishers, and that as a result the question of how much or how little a book gets is really a commercial decision. As a publisher acquaintance (who shall remain nameless) once pointed out to me, editing is often a process of diminishing returns: there comes a point with every book when spending 20% more won’t make the book 20% better. As I say in the piece, I think this is a useful way of thinking about the question, both because it reframes the question in commercial terms rather than as an unwinnable argument about artistic standards and because it reminds us that questions about editorial standards are intimately connected to the changing landscape of contemporary publishing (kudos to Jane Palfreyman for pushing back against the tedious narrative of decline that usually comes riding shotgun with discussions of editorial practice). I think what’s really interesting though is what our anxiety about editorial standards tells us about our attitudes to writing, and more particularly how difficult we find it break free of Romantic notions of the artist as solitary genius when we’re talking about authors and authorship. Because in the end that’s what this whole conversation is really about: our unease with accepting that literary fiction and non-fiction are not, in many ways, all that different to more collaborative forms such as television or film. I’m not saying they’re exactly the same. Books are always going to be more defiantly expressions of individual vision than film or television, but they’re not fundamentally different, more different points on a spectrum. But while we have no problem with the idea that script editors and directors work in a relatively utilitarian manner with scriptwriters we’re made very uneasy by overly intrusive editing of books. But in the end, what’s the difference between David Chase rewriting an episode of The Sopranos from the ground up and Gordon Lish rewriting Carver? I suppose one answer might be that those of us who write books do so at least partly because it allows us more control over our work. I know one of the reasons I gave up writing film was that I wasn’t temperamentally suited to the collaborative process (though if I’m being honest I’d have to say the fact I was crap at it also played a part). But again I think it’s really a question of how much collaboration we’re comfortable with, not whether we’re comfortable with collaboration at all: even the most arrogant and single-minded author can’t help but take on board at least some of what an editor says. But I suspect that at a fundamental level this anxiety about editing and editing standards is as much about a refusal to give away very old and cherished ideas about the primacy of the artistic imagination as anything. That and a failure to understand that publishing, like television or film, is essentially an industry, and that the process of transforming a manuscript into a book is as much an industrial process as the process of transforming a script into half an hour of television. Ha! Well, my editor was working on my ms by candlelight, after power blackouts in London. She got so annoyed she rang up her MP to complain: “I said I was editing an Australian author, who must think London is in a third-world country”. It is a really interesting idea, and that commercial nature of the decision is quite obvious at times, especially when reading books at the more commercial end of the market. It is clear, for example, that Raymond E Feist’s books get such cursory editing in the rush to get them onto the shelves that you will see one character’s name spelt two different ways over the course of two pages. Similarly, my argument about the Harry Potter books from about The Goblet of Fire onwards is that they really need a good hard edit as they have stories which go nowhere and add nothing to the overall narrative, and aren’t even particularly interesting. But either the editors seem to have decided that her words, by that point, were absolutely golden, or that it was more important to get it out there because the fans would read it no matter what, than making sure it was actually good! I also agree about that notion of editing not disrupting the creative vision. No one creates alone, and we all need help and guidance and direction. Authorship is such an interesting question (and possibly more interesting in academic situations) but I think what editing about is helping to craft and guide creativity, rather than interfere with it. I could say more, but I’ll stop before I completely wear out my welcome! It’s an excellent ALR article, I agree. The timing of its appearance happens to be gratifying for me, because several things in it – including your brave remark that books are seldom ‘as carefully or rigorously edited’ as they used to be – amplify some concerns about editing standards that I’d put into a letter just the previous day. More about that shortly; but first, James, my general response to what you’ve written here is ‘Yes, but …’ The ‘yes’ is agreement with your initial point that editing is only part of a larger commercial equation for publishers – no problem in acknowledging that, and its implications. The ‘but’ indicates my reluctance to frame an insistence on standards as expressing primarily ‘Romantic notions of the artist as solitary genius.’ No doubt that can be a factor, but often there’s a more professional focus to concerns about a decline of the editorial function in publishing. The day before this ALR appeared, I wrote a letter to a very good bookseller who had previously recommended to me a novel by a young Australian writer. I enjoyed reading it and thanked the bookseller for the recommendation – but also said talented young authors deserve better support from their editors than this one had apparently received. She suggested I jot down some particulars for her to pass on as mediated feedback to the publisher, with whom she’s in regular contact. So I found myself in an awkward spot of my own making. I’ve no axe to grind with the publisher in question, or the consultant editor for this book, whom I don’t know personally but whose name is given in the acknowledgements. I didn’t wish to cause any trouble for her. But having expressed an opinion I felt obliged to back it up. And anyway I wanted to make it clear that this was just an example of a broader pattern of sub-standard editing, not a unique instance. A few years ago, as chair of the judges’ panel for the Premier’s Book Awards in this state, I banged the same drum in my report. I acknowledged in my letter to the bookseller that a reader, with only the published text to consider, never knows what improvements an editor may have invisibly produced. Perhaps the original submission of this novel had bristled with problems that were solved through judicious editorial intervention, and any flaws that remain may be a small residue. At any rate the main defect in this novel, it seems to me, is that a discrepancy sometimes occurs between the kind of person the narrator is supposed to be and the kind of language she uses in telling her story. This narrator figure is presented as exceptionally perceptive and precise, with a heightened awareness of linguistic nuances, a strong academic background, and a focus on the formal discipline of writing for publication. Her vocation as a character is writing, and this underpins her story-telling persona. But there are several places where jarring little solecisms detract from this aspect of her credibility, and I listed various examples in my letter. Regardless of whether my particular criticisms will seem cogent to someone who reads the details in that letter, I don’t think the concern I’m trying to convey stems from a resistance to author/editor collaboration. I’m suggesting that there has apparently been insufficient collaboration in such cases. There is an excellent treatment of the cost & diminishing role of copyediting in Australian fiction in the Afterword to Other Peoples’ Words (Picador, Pan Macmillan Australia, 2001). It used to be that writers (in the U.S.) of name, if not note, would have copy-editing written into their contracts either of their own choice or mutually agreed with the publisher. the cost was borne by the publisher. since then, of course, financial/industiral exigiencies have become more exigent, and incresingly little attention is paid to even very basic editing, at the publisher level. I noticed about 10-12 years ago that that the narrative voice in then-current Australian science fiction was no different from the voice used in posts to the science-fiction list-serve; to me the books read as sloppy and implausible simply at the level of tone. I don’t have enough access to current Australian fiction to know if this is the case with general ozfiction now, or whether the problems/confusions are more syntactical in nature (as per David Free’s analysis in Quadrant). But editing needs to be done. Sloppy product will only sour the market. There is an interesting treatment copy-editing in Australian fiction in the Afterword of Other Peoples’ Words (Picador, Pan Macmillan Australia, 2001). About 10-12 years ago I found the narrative voice of Australian SF indistinguishable from the chatty voice of the SF list-serve; the books were sloppy and implausible simply at the level of tone. About 25 years ago it was usual for U.S. writers of name/note (such as Joan Didion) to have copy-editing written into their contracts – either an editor of their own choice or one mutually agreed with the publisher. The cost was borne by the publisher. The financial requirements of major publishers became more stringent; these days, in the U.S., writers are required to have their editing done by freelance editors/companies before sending manuscripts to agents. It is quite evident from reading books (from major publishers) that there is literally no editorial attention paid to a manuscript once it arrives at the House. Editing needs to be done. Sloppy product sours the market. It’s not a question of worshipping “the rules” – it is a question of not erecting barriers between the reader and the text. The case of Carver & Lish is extraordinary, and a matter of bad cases making bad law. Even the case of Fisketjon and McCarthy is fairly extraordinary – not every editor needs that amount of empathy and skill; not every writer is so syntactically complex. Editing needs to be done *because* sloppy product sours the market. Re. “Publishing, like television or film, is essentially an industry, and that the process of transforming a manuscript into a book is as much an industrial process as the process of transforming a script into half an hour of television” – how often we forget this! Sorry I’ve been so slow to respond, but I’ve been off the grid and trying to type intelligently on my phone just seemed too hard. Looking at the post and the comments now, I’m struck by the fact that I didn’t say a couple of things I should have. One is that good editing – and by extension good editors – is really important, and that I have huge respect for editors and what they do. I know the input of the people who have edited each of my books (and that person’s been different for every book) has made them all infinitely better, and I’m eternally grateful for that. Which is a roundabout way of saying I wasn’t having a go at editors or trying to diminish what they do. What I was trying to do was to prod people a little bit about the question of where editing fits in a larger picture and to think about how the material conditions under which writing is published affect the nature of the writing. I think that’s worth doing because the insistence on seeing this question in artistic terms locks us into a fairly predictable conversation about decline (though I’m actually with you, Ian, standards have fallen, and that’s a cause for concern). 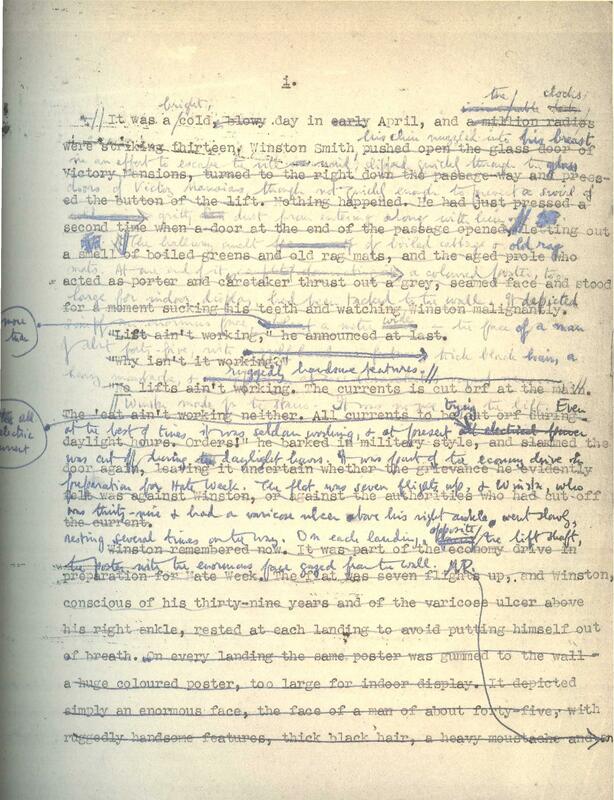 By broadening it outwards it’s possible to start observing some of the things bluerose tells us, about the way Australian SF has changed as a result of the better editing (are we talking Jonathan Strahan here, just btw?) or the manner in which big-name writers can convince publishers to spend up big on copy-editing (which is interesting in terms of Ian and Hilary McPhee’s arguments about support for younger, less-established writers and because it tells us something about why American books, which are published in a much more lucrative market tend to be better edited (the training US writers get at university is probably a factor there as well). I should stress that I’m not suggesting this is the only way to see things, just that’s it’s useful to bear these questions in mind. All that said, I was serious about the problem being our insistence on constructing things in terms of lone genius: as a writer I think Lish stepped over the line, but as a reader I think it’s basically irrelevant: the stories are great, and what matters is what’s on the page, not how it got there. It’s pretty clear Percy Shelley had at least some input into Frankenstein (as Mary Shelley did into his poetry), and that most of Dumas’ novels were written by ghost writers, but that doesn’t detract from them as works of art, any more than an episode of The Sopranos is diminished by the fact it was created by a team. Again, I’m not suggesting we give away forms of reading and discussion that refer to sensibility or place work in the context of an author’s life, just that it’s always worth remembering literature isn’t written in a vacuum: it comes out of a time and a place and a system of economics that affect it, often in quite profound ways (think of the fact Dickens wrote in serial forms, and then look at the way the books are put together, as just one example). Sorry – apropos my last point, I should point out I know at least one writer who had their career, adn indeed their writing more generally knocked almost irretrievably off-course by a very determined and intrusive editor, who they didn’t know how to say no to, and whose input made the book into a horrible mess and did the author’s head in. So there’s certainly a human dimension to all this as well. You are right about that, also, James. I once dealt with a review which issued an acceptance conditional on cuts specified by the editorial committee. The piece was published as originally written. I dealt with the vile publication contract by rewriting it. I have never sent that review anything else. So the industrial model can be taken too far. The committee I just described had the Hollywood Producer Syndrome – a compulsion to piss in the soup. This was an issue I had to address in the upcoming MV#1. There was a line where on one side I needed posts to conform to a publishing ‘house style’, but on the other hand, I am more than aware – and respectful – to the ways a writer might choose to blog and why, and I didn’t want them to feel like their work had been compromised as it was put to paper. It was an interesting kind of balancing act.